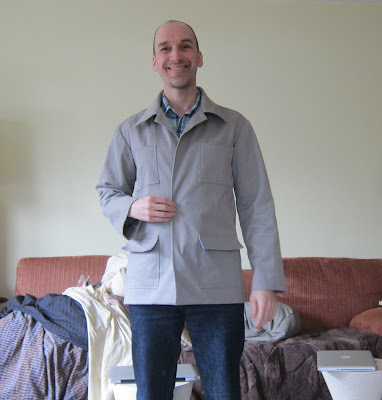 Tweaking Yesterday's Jacket Muslin or "I'm Going on a Safari..."
Friends, I've spent most of today tweaking my latest jacket muslin, Simplicity 8823 from 1970. I think you'll agree it looks very different than it did yesterday. Hopefully better. So I lied: yesterday was not the last jacket muslin post. Today is. And that's no lie. 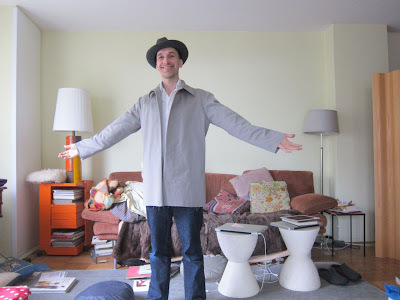 Fourth time's the charm: Another Men's Jacket Muslin! Don't hate me, readers -- or worse -- unlike me on Facebook. So how do you feel about raglan sleeves? Anything at all? 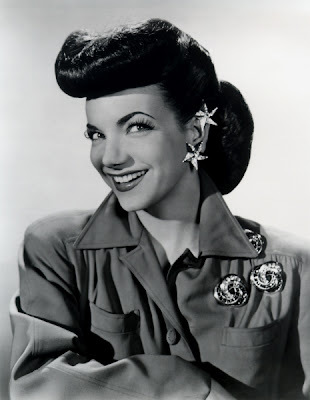 Would you believe the Brazilian Bombshell, Carmen Miranda? Well don't, because it's not Carmen Miranda -- but that would have been a pretty good guess. 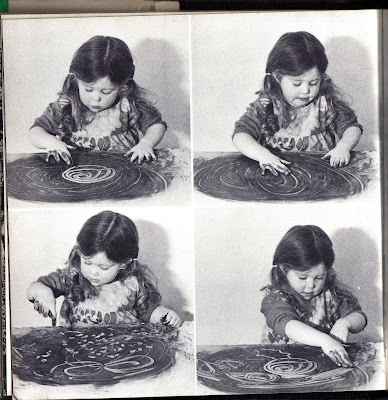 Can You Identify This Celebrity Sewist? 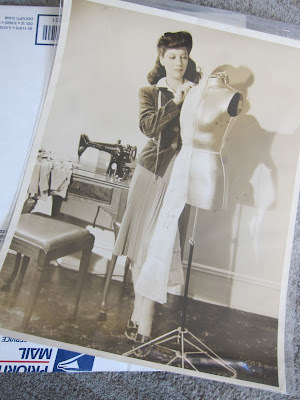 Friends, I stumbled on this vintage original 8x10 glossy photo of an "unidentified seamstress" and her Singer sewing machine on eBay last week and I knew right away I had to have it, especially for $2.95. Readers, I forgot. 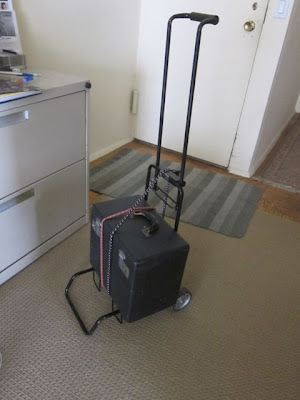 It's been twenty-five years since the Eighties, and I failed to remember how BIG everything fit back then. Blame Gianni Versace, Rei Kawakubo, Claude Montana, Madonna, I don't know. 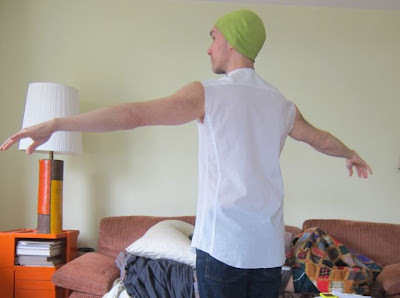 Friends, I'm not sure if I ever said this explicitly, but one of the reasons I was excited about being able to sew my own clothes was that I no longer had to deal with ready-to-wear clothing that almost never fit right. FINISHED SHIRT + Name That Clutter! 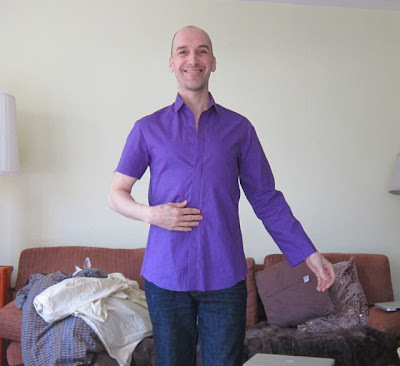 Whoopee -- I finished my shirt, Vogue 8889! V8889 Final Version -- Looking Good So Far! 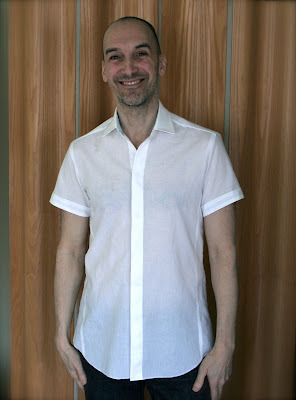 I'm almost finished with my first real version of V8889 -- Vogue's latest men's shirt pattern -- and after tracing the original and adding my changes, I think I've come up with a version that fits me well. 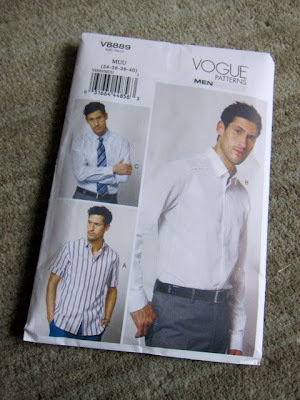 Woo Hoo -- a New Vogue Men's Shirt Pattern! 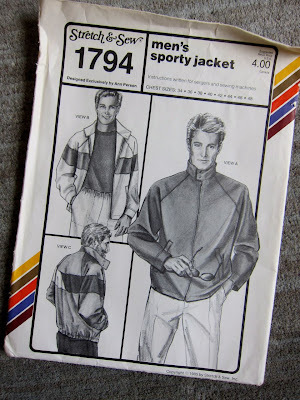 Readers, I was pleasantly surprised to discover recently that Vogue has expanded its men's pattern offerings. 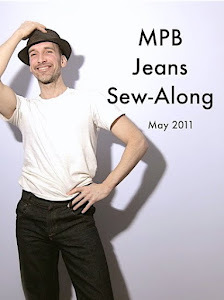 They currently have fifteen men's patterns for sale and none of them are pajamas or scrubs! In typical MPB ripped-from-the-headlines fashion, I present Helen Mirren at last night's BAFTA's ceremony in London. 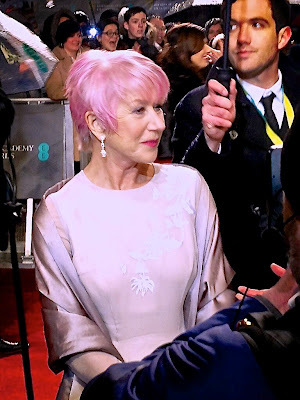 Can this sexagenarian (not sextagenarian, I looked it up) rock pink hair or what? 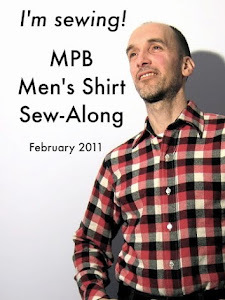 MPB EXCLUSIVE! 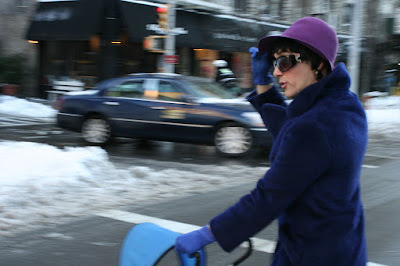 -- Cathy Goes Rogue + Simplicity's First Snow! 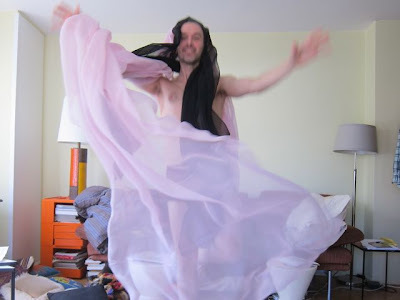 Readers, I have a very special treat for you today -- an exclusive MPB post-blizzard Cathy photo shoot! 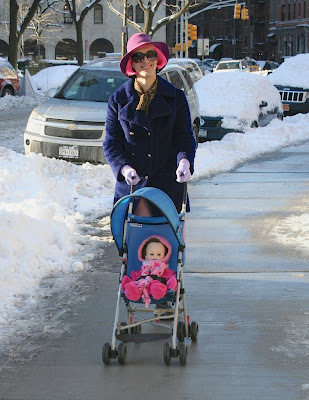 Yesterday baby Simplicity got her very first taste of snow and Cathy debuted a daring new look. I so wanted to share these special moments with you. 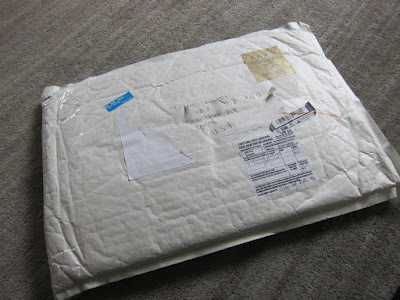 Look What I Just Got in the Mail-- or "Debi Declutters"
Friends, this has been a very good week for me, sewing-wise. Or rather, sewing stuff-wise. 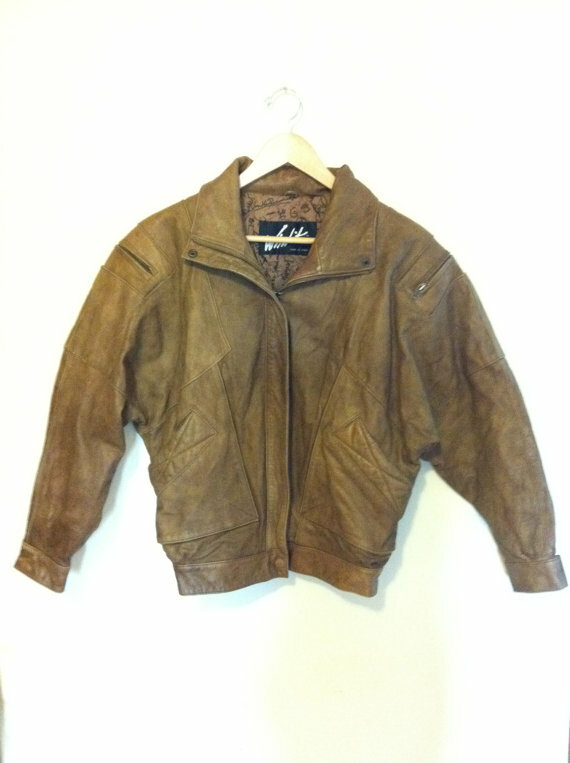 First, the Singer featherweight. Then, the fabulous vintage sewing book. Finally today -- well, you'll see! 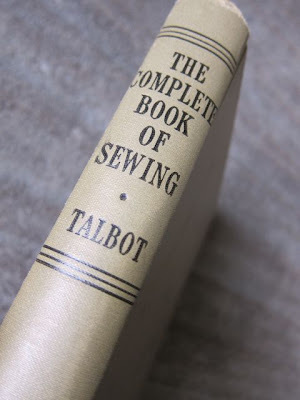 Fabulous Vintage Sewing Book ALERT! Are you a dyed-in-the-wool-crepe vintage lover? Friends, I'm almost embarrassed to share what just happened to me today but my hunch is you can already guess. 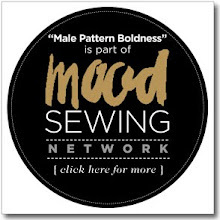 Readers, do you ever sit down and think about how you go about choosing and carrying out your sewing projects? Silk Chiffon LOVE + Vogue Winner! Readers, do you ever wonder what the neighbors are thinking when they look into your windows or do you generally draw the shades? 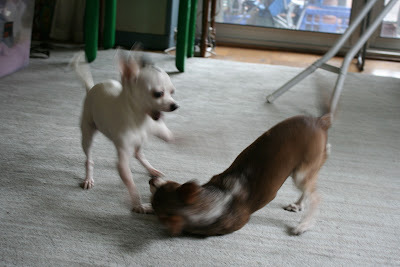 Friends, when the weather's below freezing, as it is today, we rarely take the dogs outside. It's just too cold. Thankfully we've trained them to do what they need to do indoors, in the bathtub to be exact, and most of the time Willy remembers the part about jumping up over the side. What fun I had you-know-where this morning, readers! 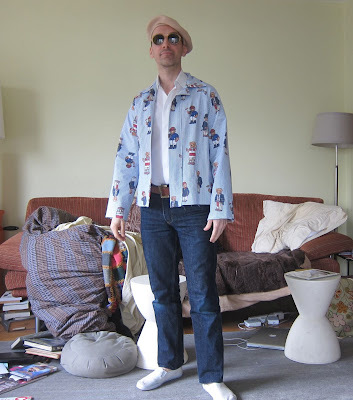 For starters, fabric, glorious fabric. 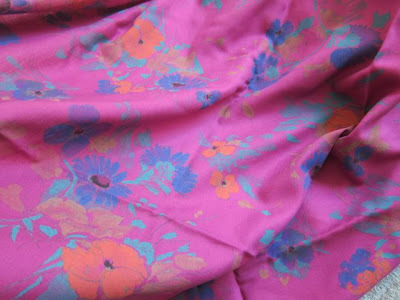 The print above feels like rayon and I adore the colors and drape. This fabric is saying to me, Forties cocktail dress, Forties cocktail dress... Actually, that's the same thing I hear when I put a conch shell to my ear. Or a Dixie cup. 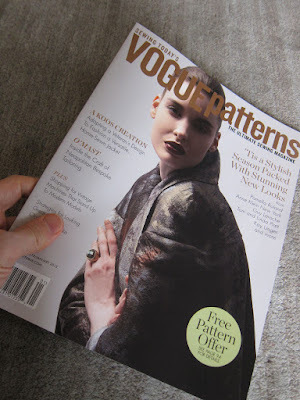 Vogue Patterns Magazine GIVEAWAY + another special announcement! 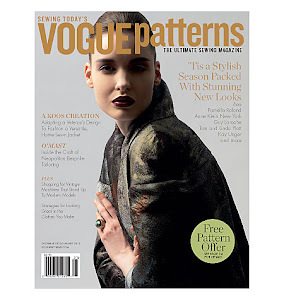 I'm a little late with this, friends, but I'm excited to be giving away a copy of the December 2012/January 2013 copy of Vogue Patterns with my most recent article in it, all about my favorite vintage sewing machine models!